Stefano Noferini is one of Italy’s finest dance music exports. Having served as an accomplished DJ for over thirty years, Noferini is a true veteran of the scene. 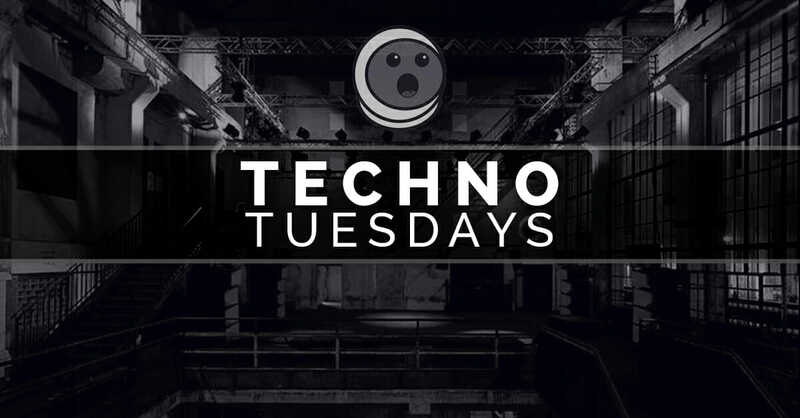 More specifically, his impact on the world of tech house has been paramount in the last decade, ushering in plenty of top releases by his own hands as well as through his imprint, Deeperfect. On January 24, Noferini will perform from Groove Cruise Miami on the Abyss stage. Ahead of his performance, we’ve tracked the Italian legend down to pick his brain on life on the road. As a veteran of 30+ years, what keeps you motivated? When I look at things I’ve done in the past, usually I’m not that happy. I think I would do them so differently know, better. If you really love what you do, you get better everyday… I don’t see a real reason to stop, my DJ life is still the life I want to live, I have a lot of fun… and I always look at the future in a positive way. How was 2015 for your label, Deeperfect? Our growth continues. It was a very important year, not only for the music. For instance, we hired a new graphic designer, a creative professional who can portray our music with his own style. We chose to concentrate on a few talents, on artists we really believe in and in the meantime we kept on doing our job as talent scouts. It’s the same direction we want to keep for 2016. In the last 3 years I had fantastic results and top charts with releases on other top labels too as a produce. I think I’ll concentrate do develop my sound, that’s going to stay techno… but a kind of techno with many different sides and mixes with deep or house. But it’s origin will always be techno. How have your tours been treating you? They usually last about a month, now. I play a lot in Mexico, South America, USA, now also in countries as Honduras, not only in Colombia or Argentina or Mexico where I used to… but I chose to perform in the same club as regular guest and this is not going to change. That’s I how I develop my sound and get connected to the audience. My “followers” have to be able to get in touch with my music. I always play at least 3 hours, sometimes more. It’s the best way create the right atmosphere. What’s it like producing on the road? Sometimes to give my touch to a track is fast. For instance, I made a re – edit of “Rock It”, a tech house of cover of the Herbie Hancock classic by the Luca M, JUST2 and Vzorov. Some ideas are really good but as a DJ I know that ideas don’t work on the dancefloor. You have to play great tracks that wear the “right dress” too, as we say in Italian… But usually, I’m not that fast, I have my own team. My sound engineer works with me as other musicians. Otherwise it would be impossibile to reach the quality I want. You’ve always had a consistent role in Ibiza. With Richie Hawtin leaving Ibiza and Carl Cox’s Space residency coming to an end, what are your thoughts on the future of the island? Ibiza will be always the center of international clubbing, in my opinion. It’s not surprising that some fiestas end, but new ones always begin. Richie Hawtin simply chose to continue to do his music somewhere else and The Space era is going to end because the end of a contract… But I’ll always love Ibiza, I hope to organize our label night. I hope we’ll find the right location. Tell us about your upcoming performance from Groove Cruise. It’s the first time for me, I never performed during such a long cruise. I spoke to other DJ’s who already did and I can’t wait because I think it’s magic to be at sea, enjoying an event where music never stops for 3 days and nights. What are your other plans for 2016? I think I’ll release a compilation, in which I’ll try to celebrate the last 15 years of my career. I’m trying hard to find about 20 tracks that represent my sound, tracks that you simply can’t find googling on the internet, because they were released only on vinyl. There’s a lot of obscure electronic music that sounds so good. The job of the DJ, in the end, it’s always the same. You take a couple of old things, you put them together in a new way and let the people dance.